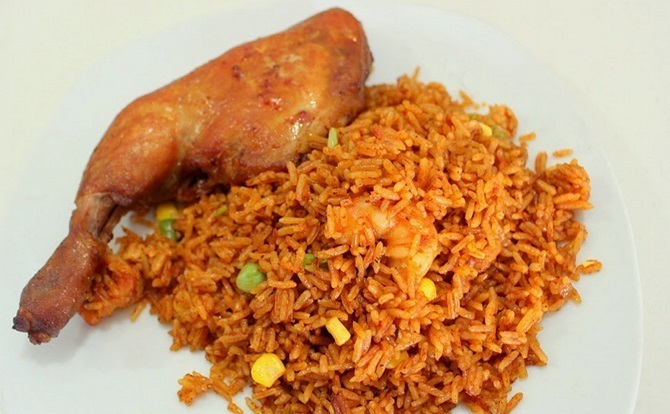 In honour of the forthcoming World Jollof Rice Day which is now celebrated annually on the 22nd of August, here are some Jollof recipes and techniques that you would love: Native Jollof Rice, Jollof Spaghetti and Basmati Jollof Rice. Not many know about Native Jollof rice and few have tasted it. 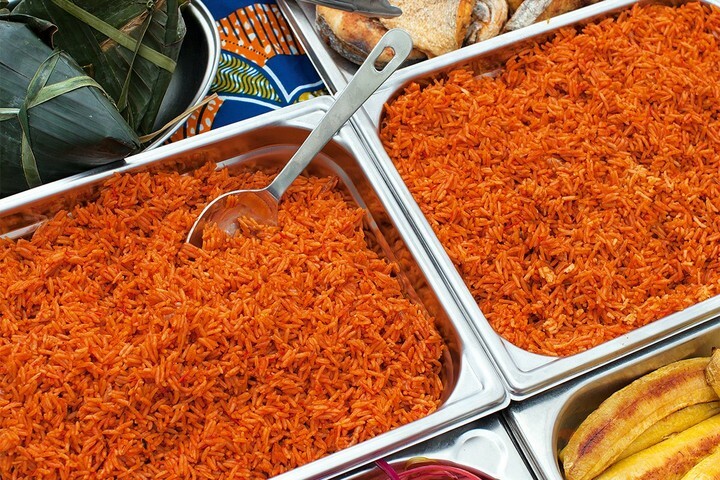 This Native Jollof Rice will open your eyes to the possibilities of Jollof. Parboil rice then roughly blend and boil pepper mixture (combination of tomato, pepper, and onion) till it is almost dry. Heat up pot with palm oil, when it is hot add chopped onions, chopped peppers, locust beans, fry for 3 minutes. Add roughly blended tomato mix, add crayfish, chopped ponmo, smoked catfish (in pieces) and smoked prawns, seasoning cube and salt. Allow this to fry till the oil floats to the top. Now add water, enough to cook the rice, then add the parboiled rice. Stir so that the ingredients will go around, then cover and allow to cook for 20 minutes/till rice is cooked. Jollof Spaghetti is almost as common as Jollof Rice and there are so many methods for making it. Here’s one recipe you will use over and over again. In a pot add water, add some salt and a drizzle of oil. Once it starts boiling add the spaghetti. Cover and cook till soft, then drain and set aside. Add some vegetable oil to a pot, allow to heat up then add chopped Onions, Ginger and some chopped Green Bell Pepper for a minute. In a bowl, mix 1/4 cup water with tomato paste then pour into the pot. Add salt and seasoning cube to taste. Stir frequently to prevent it from burning and continue till the oil separates-taste it, it should not taste sour anymore. In another pan, heat up about 2 Tablespoons of oil, onions and green bell pepper, then add the minced beef and fry till the beef goes from pink to brown. Add the fried minced beef into the tomato sauce and stir together. Add ¼ Cup Chicken stock, bay leaf, garlic, paprika, and thyme. Add the spaghetti that was set aside earlier and combine well with sauce. In a separate pan, saute onions and fresh sliced tomatoes. Add a pinch of salt. 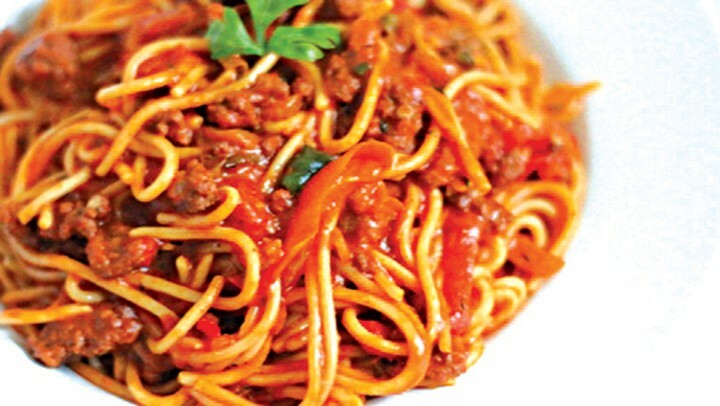 Allow to fry till it is cooked, add this to the spaghetti, combine properly and it is ready to eat. It is easy to cook Basmati Rice wrong, that is because of the rice itself-Basmati Rice does not need a lot of water to cook and once you nail it, it would become an everyday favourite. Blend Tomatoes, Pepper, Onions, Ginger, Garlic and boil till all the water is gone. Heat up a pan, and add vegetable oil. When it is hot, add onions, curry, thyme, bay leaves, seasoning and fry for 1 minute. Add boiled tomato/pepper mixture to the oil, add 1 spoon of tin tomatoes and fry for 15 minutes. Taste to see if it is cooked. Add water and chicken stock, then add already washed basmati rice. Stir together. Cover the pot with foil paper and then pot cover, then reduce the heat. What you need is the heat to cook the rice not water. Allow cook for 30 minutes or till soft. Now add butter and sliced fresh tomatoes, mix together and steam for 5 minutes.